Workers load the tail of AirAsia flight QZ8501 onto a truck at Kumai sea port, in Central Kalimantan, on February 7, 2015 before they transport it to Jakarta. The AirAsia plane crashed late Dec. 2014, with 162 people on board. HONG KONG - For Asia's aviation industry, the growing pains have just begun. A third of airplane accidents in the Asia-Pacific region from 2008 to 2012 "involved deficiencies in regulatory oversight," the International Civil Aviation Organization said in a report this year. Another 27 per cent involved "deficiencies in safety management." Passenger numbers in Asia-Pacific have risen by a third over the past five years to 1.1 billion, and the region now accounts for 33 per cent of global air passenger traffic, according to the International Air Transport Association. That proportion is forecast to grow to 42 per cent within the next two decades as an extra 1.8 billion passengers take to the skies. Discount carriers account for about 60 per cent of Asia's passenger capacity, up from nearly nothing a decade ago, according to CAPA-Centre For Aviation. Asian airlines have about 1,600 aircraft on order, more than are in operation, according to the group, including more than 500 ordered by Indonesia's Lion Air, which is barred from flying into European Union airspace. 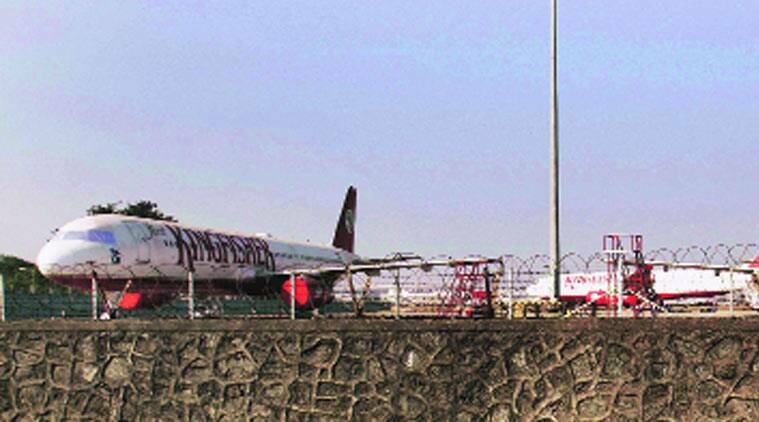 An Airports Authority of India (AAI) official has alleged that air safety rules have been "wilfully violated" at the Chhatrapati Shivaji International Airport in Mumbai. The official, Deputy General Manager (Aviation Safety) S Mangala, has claimed that no-objection certificates were given to "excessive heights" in a real estate project on land near the airport, infringing on the safety buffer prescribed for aircraft taking off from the main runway. Stating that the case of the NOCs for construction work on 11 sub-plots dating back to 2011 were investigated by the CBI, Mangala has said in response to a query filed under the Right to Information Act that the GVK-led MIAL has "wilfully violated air safety rules with the full connivance of MOCA/DGCA/AAI officials which shows that there is systemic corruption in the Civil Aviation ministry". She adds that the violations of air safety rules and procedures have been "for commercial gains at the cost of endangering the lives of unwary air passengers". The other serious allegation pertains to the installation of a Jet Blast Shield (JBS), which deflects high energy exhaust from jet engines. Mangala has said a JBS installed in front of a localiser antenna (a component of the Instrument Landing System) on the main runway violates rules stipulating that anything installed between the localiser antenna and the end of a runway must be frangible, or designed to disintegrate. The "non-frangible and hence dangerous" JBS is a cause for worry in view of recent aviation accidents, she claims. "It is high time that my higher-ups in AAI/MOCA took the long overdue corrective step and direct GVK/MIAL to remove the non-frangible JBS, instead of waiting for an accident that will reveal all their collective negligence," Mangala writes. The DGM's letter is in response to a Right to Information request filed by activist Vishwas Bhamburkar about action taken on safety issues at the airport. MIAL representatives were unavailable for a comment despite repeated attempts. Regional Executive Director (Western Region-AAI) A K Sharma, her superior, said the JBS was not in the jurisdiction of his office. On the NOCs to a private builder, Sharma told The Indian Express that no violations were found. Mangala has also alleged that her seniors in AAI have permitted GVK/MIAL to operate despite a CAG report in 2013-14 showing "irrefutable evidence of the huge financial loss of thousands of crores of rupees to the country caused by the criminal negligence of the concerned officials in MOCA/AAI by their allowing GVK/MIAL to defraud AAI/GOI". Other allegations in the letter to Bhamburkar include her claims that air-miss/ATC incidents have been suppressed. I would not have survived in this organization and would have been trampled upon," she added. In her note, she says her own own seniors "are the wrongdoers" and have hence "remained obdurate in not taking any corrective action". A general view of debris, seen in this picture made available to the media by the French Interior Ministry April 1, 2015, from the wreckage of a Germanwings Airbus A320 which crashed, near Seyne-les-Alpes. (Reuters) - Lufthansa (LHAG.DE) said on Monday it was not required to inform German aviation authorities about Andreas Lubitz's former depression because he qualified as a pilot before stricter reporting rules went into effect in 2013. Lufthansa said that a provision in the new regulation, introduced in Germany in April 2013, safeguarded certain pre-existing fit-to-fly certificates and medical certificates issued by specialized aviation doctors. Aeromedical centers or aviation doctors could therefore issue extensions to such medical certificates even after the new rules came into effect, the airline said. The plane crashed near Overlook Court near the airport's north runway. PORTLAND, TN (WSMV) - Aviation officials are investigating why a plane went down in a Sumner County field near the Portland Municipal Airport. The pilot was the only person on board the Cessna 182 when it crashed just after 9 p.m. Monday near the airport's north runway. The Sumner County sheriff said the plane went through a fence, which did some serious damage to the plane's wings and caused a fuel leak. The pilot was spotted walking down the road back toward the hangar. Witnesses said they knew something was wrong and ran over to help. The pilot was taken to the hospital for some injuries to his face but is expected to be OK. 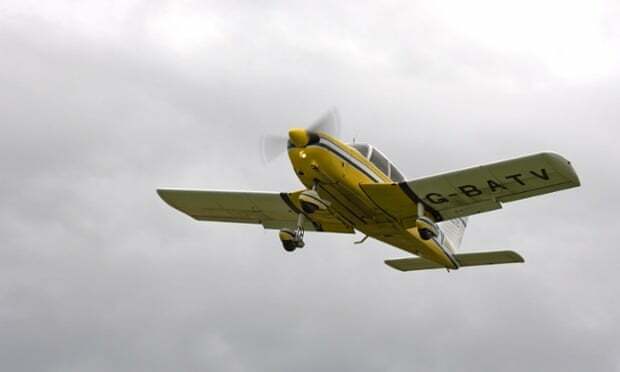 The Air Accident Investigations Branch (AAIB) was dispatched to Oban, Argyll and Bute, following the crash on Saturday. Doctor Margaret Ann Rous, 37, and her husband, engineer David Rous, 28, were killed when their Piper Cherokee plane went down. The couple, who lived in Newport-on-Tay in Fife, were reportedly heading from Dundee to visit relatives on the Isle of Tiree when tragedy hit. Dr Rous's sister Johann Maclean paid tribute to her in a message posted on Facebook. Referencing the Black Eyed Peas' song Meet Me Halfway, she wrote: "Big sister, it's our song, I am going to sing this to you everyday for the rest of my life! You were my absolute rock, and I promise to meet you halfway one day! Today has been the hardest day of my life, I love you Minnie." She thanked friends and family for their messages of sympathy. "Thank you all for the heartfelt messages, phone calls and visits," she wrote. "We appreciate your thoughts at this heartbreaking time." Searchers discovered the wreckage on Saturday night after radar contact with the aircraft was lost earlier in the day. The loss of contact prompted a response involving the police, ambulance service and the coastguard. Following the discovery of the wreckage, specialist officers remained at the scene in the Beinn nan Lus area of Glen Kinglass. Inquiries are continuing into the cause of the accident. An AAIB spokeswoman said: "The investigators are in Oban now. It's an ongoing investigation, so we are not making a comment or issuing a statement." A coastguard spokesman said: "We got a call from Kinloss about the aircraft going missing at 1.53pm on April 4 and we tasked Oban, Appen and Loch Goil coastguard rescue teams and the Oban lifeboat to search the area and surrounding hills. When police and the mountain rescue team located the wreckage, they let us know and we got word to stand down at around 4.15pm." Flying conditions were reportedly difficult at the time of the crash. The spokesman added: "Our teams did not pass on any information about the conditions. It might have been difficult for any air unit searching but we had mostly ground units and the lifeboat doing the search for us." Pilots of the plane carrying Polish President Lech Kaczynski that crashed five years ago in western Russia were under pressure to land in heavy fog, RMF FM radio reported on Tuesday, citing new flight-recorder transcripts. The transcripts identify Poland's air force commander as being in the cockpit during the final approach to the fog-bound airfield in Smolensk, when he is heard allegedly telling the two pilots they "will make it easily" even as low-altitude alarms blared, according to a report on the broadcaster's website. The Russian-built Tupolev 154 airliner clipped trees, flipped over and crashed, killing all 97 on board, including Poland's central bank governor, military commanders and leading lawmakers from the country's opposition. The transcript is based on a higher-quality copy of the flight recorder and contains 30 percent to 40 percent more data than previous versions, according to the report. It was commissioned by military prosecutors investigating the April 10, 2010 crash, RMF said. The transcript shows the air force commander asking pilots for "ideas" after the first "Terrain Ahead" alarms sounded. Fifteen minutes before the crash, the president's chief of protocol is also allegedly heard instructing the crew to "keep trying until you succeed" after being told of the adverse weather conditions, according to the report. GERMAN aviation industry doctors say that pilots should undergo more extensive medical checks in the wake of the Germanwings crash in the French Alps that killed 150 people. IN response to prosecutors' allegations that co-pilot Andreas Lubitz deliberately crashed the Duesseldorf-bound Germanwings plane on March 24 on a day that he was supposed to be off sick, the head of the German Pilots' Doctors Association urged more thorough examinations. "We are calling for more frequent and comprehensive laboratory tests for pilots," the association's chief Hans-Werner Teichmueller told Welt newspaper. The annual physical required of pilots only includes a test of urine, haemoglobin levels and in some cases blood sugar. Teichmueller said that key data on the liver, kidneys and cholesterol levels were also absent from a typical medical file kept on pilots. A spokeswoman for the Federal Aviation Office (LBA), which issues pilots' licences, said that Lufthansa had given it "no information about the medical background" of Lubitz. Is there another industry in the world that uses the deaths of hundreds of people as a talking point. After each of 2014's devastating airline crashes, industry spokesmen were quick to point out that flying remains the safest way to travel. This is hardly reassuring to passengers eager for good news. Fortunately when it comes to transoceanic flying a new kind of competition is emerging, one destined to quickly reshape the industry. One carrier is not waiting for public opinion or regulatory action to solve one of the industry's most important safety problems. They are quietly challenging the complacency of airline executives everywhere. This story begins nine years ago, when United Airlines pilots in collaboration with the National Center for Atmospheric Research in Boulder and the Federal Aviation Administration tested a new long range weather forecasting system designed to defeat one of the most worrisome problems in international aviation. Once planes leave coastal radar coverage, flight crews depend on the limited range of their cockpit radar which can only see about 150 miles ahead. Alas big storms that come up fast can be a major challenge. With satellite weather data streamed to their cockpit via an onboard printer, the United pilots were able to pinpoint dangerous convective storms 500 or more miles ahead. Thanks to up to the minute reports they could easily route around bad weather on test flights from San Francisco to Sydney, Australia. By looking down from 22,000 feet, these satellite systems gave them the ability to pinpoint cloud top heights and see unsuspected secondary storms that might be hidden behind weather systems spotted on cockpit radar. NCAR senior scientist Bruce Carmichael was ecstatic: "For about $1 million per aircraft this badly needed forecasting system could be installed on planes within six months to a year." For the first time in aviation history pilots flying over vast oceans would be able to count on the kind of weather forecasting produced overland by ground radar. The FAA responded to this good news by canceling their promising program due to budget constraint. Three years later an Air France jet headed from Rio de Janeiro to Paris entered an ice producing storm over the south Atlantic that shut down the plane's automation. Just four minutes later 228 people perished in a crash Carmichael and many other experts believe could have been entirely avoided with the mothballed transoceanic weather forecasting system. Expert meteorologists and pilots now believe that a similar Airbus crash of an Air Asia jet last December could have possibly been prevented if the pilot had stayed out of harm's way with the solution developed by NCAR and the FAA in 2006. That plane went down in the Java Sea during a late December 2014 thunderstorm. Today pilots and knowledgable passengers flying these routes are asking the same question. What's stopping the airlines, now anticipating billions in windfall profits from lower fuel costs, from installing this badly needed solution, especially when new technology has cut the cost considerably. "Changing anything in aviation," says NCAR's Carmichael, "is like moving a boulder uphill. There is so much inertia in aviation. You have to get the airlines lined up along with the aviation authorities. Everyone in the world has to agree. You have to change regulations, policies and get agreement from the unions. "Aviation is a very conservative industry. To change anything requires a massive undertaking and it has gotten worse recently because people are using a safety management system that assumes everything is safe today. If you are going to change anything, you have to go through a process that proves unequivocally that it will be safe. Someone has to sign their name saying that they understand there are risks for these changes and then accept responsibility. If anything goes wrong, you, as the person who signed, will be in court testifying." Several years after the Air France crash the FAA began testing an advanced version of this long distance transoceanic weather forecasting system. The new approach was created as part of the agency's "Weather Technology In The Cockpit" program. The FAA, in collaboration with NCAR, has recently completed initial testing of this new technology at its Atlantic City research facility. Agency staff has proposed a 2016 operational test on an American carrier followed by a final report in 2017. Studied by meteorologists, aeronautical engineers, the FAA, and the airlines, this new system, detailed here for the first time, is similar to the original satellite-based weather detection and forecasting model that gave pilots at least a 500 mile head start on deviating around devastating convective storm systems. The details are delivered on the crew's electronic flight bag - a tablet computer mounted in the cockpit. Once in place this system can help flight crews avoid potentially dangerous weather systems producing lighting, extreme turbulence, dangerous updrafts, downdrafts and icing. In a worst case scenario these storms can rip a plane apart. Lufthansa, after a series of tests last year using an algorithm created by NCAR and licensed for commercial application through New Jersey's Basic Commerce and Industries (BCI), confirmed that this "cloud top" product is effective in forecasting and avoiding storms beyond the reach of conventional onboard cockpit radar. They awarded a contract to BCI to provide this satellite-based product on its entire fleet, offering coverage for all their flight regions by this summer. If it meets expectations, this new forecasting and storm avoidance system could possibly motivate other carriers to follow suit. While a funding request for the next stage of the FAA study is being submitted, Lufthansa is moving ahead. The German carrier is taking advantage of existing onboard wifi, currently used by passengers, to stream data to pilots up front. Not only is the carrier planning to use the cloud top product on transoceanic flights, it also wants to implement it overland. In addition to forecasting and avoiding turbulence, the NCAR product is also useful in many countries that can't afford comprehensive ground radar networks. If Lufthansa's program proves successful it would become a competitive model for other carriers to match. Beyond reducing pilot workload and helping flight crews avoid dangerous transoceanic storms, it's highly likely that more efficient flight planning will reduce fuel costs by cutting the extent of weather deviations and improving the ability to fly at optimum altitudes. "If we can efficiently equip commercial aircraft with an effective means of avoiding major storms over the ocean, then we can hope it would be a significant step in helping to avoid some catastrophic air accidents." Hopefully one airline's courageous decision to move forward unilaterally with this promising new technology will end the industry's wait and see approach to safety management. It shouldn't take a crash or a government order to make flying safer, especially when that change will save the airlines money and reduce pilot workloads. Roger Rapoport, a veteran travel writer, is the author of the The Rio-Paris Crash: Air France 447 (Lexographic Press) and the new feature film "Pilot Error." "Copyright Roger Rapoport, All Rights Reserved"
GREENSBORO, N.C. - A new report says the business-jet market will grow in the next five years, which could be great news for Honda Aircraft when the Greensboro company's first HondaJet goes into service. The recent report by Companiesandmarkets.com lists Honda as a "prominent supplier" even though the Federal Aviation Administration hasn't signed off on the HondaJet's final certification. The report, titled "Global Business Jet Market," says the market for jets should grow by more than 6.8 percent annually between 2015 and 2019, an impressive amount for an industry decimated by the recession and corporate reluctance to use jets during hard times. Honda, which plans to introduce its jets within the next few months, already is making them at its factory at Piedmont Triad International Airport, but the company cannot deliver the $4.5 million jets to customers until they are cleared by the FAA. Still, Honda has said customers have ordered at least 100 jets, so its 1,000 employees will be busy at the company's site, which also includes research and development and a maintenance and repair center for jet owners. Jet sales suffered when corporate profits sank along with public opinion about companies that still were using their jets. Public sentiment went sour in 2008 when the CEOs of the top U.S. automakers flew in private jets to hearings in Washington where they asked for billions in corporate bailout money. Business-jet sales dropped by half, according to an earlier report released by Smart Research Insights. Now, with low interest rates and corporate demand growing, the market is likely to grow from $20.9 billion in 2013 to $34 billion by 2020. There are three distinct categories of business jets: light jet, midsize jet and large jet. 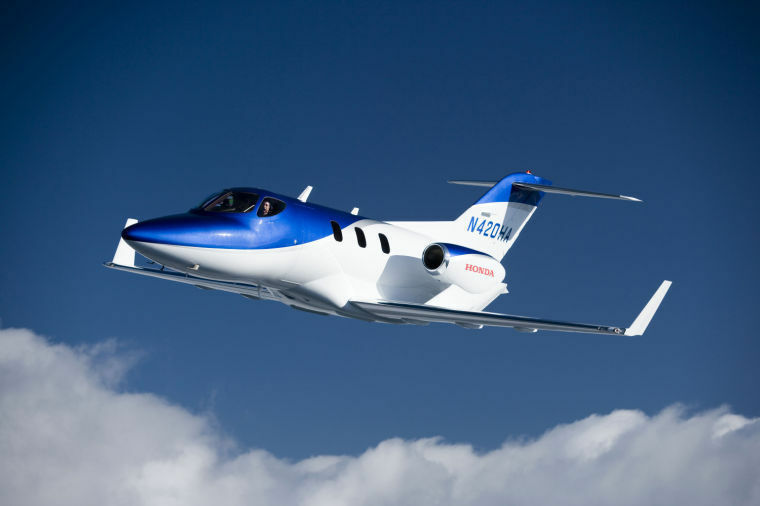 Honda's six-seat aircraft includes composite materials, putting it squarely in the light jet category - which is the right place to be for future sales, according to a report released by Markets and Markets in late 2014. "The large jet segment is expected to confront a slight dip in their growth rate," according to the report. "North America and Europe is expected to contribute to the growing demand in the very light jet segment." That report and the more recent one from Companiesandmarkets.com both call Honda a key player in the business. "New players such as Honda jet and Comac are expected to cater to the growing demand in the business-jet market," the Markets and Markets report said. "More cost-efficient products are expected from these new entrants to the market." The HondaJet, which the company calls its sports car in the sky, is unique to the industry with its lighter construction and engines mounted above the wings for efficiency and lower drag. Honda has been developing its jets in Greensboro for more than 10 years and reached two milestones this year. On March 27, the company said the FAA had granted "provisional type certification" for the jet, which means it is nearing final certification for delivery to customers. release, Honda said, "A provisional type certificate is a design approval by the FAA and is common for business jets when final certification is near. Honda Aircraft has demonstrated that the HondaJet is safe for flight and meets the airworthiness standards" outlined in the provisional type certification. And just over a month ago, the company that makes the plane's jet engines in Burlington also cleared an FAA hurdle. The agency granted a final permit that allows Honda Aero to make the engines without close supervision and to provide them to Honda Aircraft and, eventually, to other companies. The sister company will make the jets in Burlington and drive them to the Greensboro aircraft manufacturing site. The HondaJet enters the market, according to the recent market analysis, as companies are replacing their old jets. "The replacement of old-generation business jets with new aircraft models is one of the key trends upcoming in this market," according to the report. Phoenix police issued a statement on Monday reminding the public that pointing a laser at any operational aircraft is both reckless and extremely dangerous and not a source of entertainment. So far this year, pilots in the Phoenix area have reported being distracted by laser-to-aircraft incidents on more than 60 occasions, according to the Federal Aviation Administration. The incidents, which police say endanger pilots and their passengers, typically occur during takeoffs and landings, when the planes are about 500-14,000 feet in the air, according to Phoenix police. In one instance in December, the pilot of a commercial aircraft was struck by an intense green light about 11 miles from the runway while landing at Phoenix Sky Harbor International Airport, FAA spokesman Ian Gregor said. The plane was flying 3,000 feet above ground at 240 miles per hour when the pilots were distracted by the light, he said. The pilots recovered from the laser and safely landed the aircraft, but police said one requested to have his eyes examined upon landing. Phoenix was ranked first in the nation in 2012 for the most laser-to-aircraft incidents; 158 were reported, according to the Phoenix police. By 2014, the city dropped to fourth-highest for laser incidents. Police warn offenders that, if arrested, the offender could be charged with one count of endangerment for each person aboard an aircraft and could face up to 5 years in prison and/or fines up to $250,000. Authorities urge anyone who sees a person pointing a laser at an aircraft in flight to call their local police or Silent Witness at (480) W-I-T-N-E-S-S. Any caller may remain anonymous and could receive a reward of up to $1,000 if information leads to an arrest and/or conviction, authorities say. 2014: 93 incidents; ranked fourth for highest number of reported incidents. Hackers spread malicious software through a computer network at the Federal Aviation Administration (FAA) earlier this year, the agency said. The administrative computer system was affected by a "known virus" that passed from computer to computer via email, NextGov reported late Monday. The FAA told the publication that it identified no damage to agency systems after a "thorough review." The cyberattack was evident from an April 2 interim contract solicitation for the FAA's Cybersecurity Management Center Security Operations Center. "Due to a recent cyber-attack, the FAA requires additional planning time to determine the impact," the notice stated. It is not clear who was behind the cyberattack or what their intentions were. Government agencies are regularly probed for weaknesses by hackers from around the world, including Russia and China, but few break-ins are disclosed to the public. "Phishing" emails designed to look legitimate are common in officials' spam filters, and one wrong click could download malware and give hackers a way in. A government audit recently warned the FAA that its air traffic control system is vulnerable to hacking, an alarming finding that underscores the dangers of weak computer networks at the agency. An investigation by the Government Accountability Office said in March that cyber saboteurs who want to disrupt U.S. flight routes would "significant security control weaknesses" in the FAA's systems.